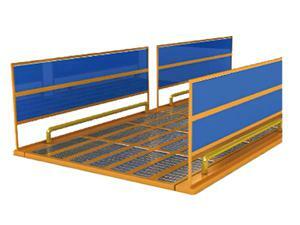 Gantry pre-washing system for all types of heavy-duty equipment. Heavy Duty Truck Wash SystemThe heavy duty truck wash system is controlled using computer software to automatically clean and remove dirt. 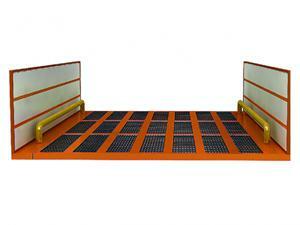 This truck wash system is suitable for heavy duty trucks with a loading capacity under 80T. The water recycling system for this truck was allows for a small amount of complementary water to work continuously for long periods of time, which also saves large water amounts. Heavy Duty Truck Washing System, Rolling WashingThe heavy duty truck washing system is used for tire flushing and undercarriage washing of a variety of heavy duty trucks with a capacity range of 30 to 150T. When heavy vehicles go through this vehicle washing system, dirt will automatically be flushed and removed from the vehicle. This drive through bus washing system features a water recycling system to save water resources, and it features a fast wash speed of 60 to 80 trucks per hour. Worksite Heavy Equipment Wash System The worksite heavy equipment wash system rinses tires and undercarriages of heavy equipment, thus avoiding pollution of urban roads. This truck wash system completely cleans vehicle wheels and undercarriages in multiple directions with the use of high pressure water in as little as 40 seconds for a single truck. 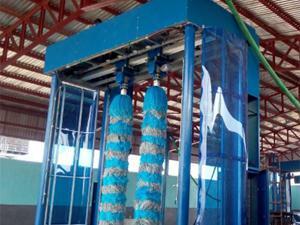 This wash system is ideal for heavy equipment with a capacity under 130T. Before the truck enters the cleaning area, operators need to press the power button while the cleaning line remains in standby. The vehicle then passes through the washing system at a speed limit of 5km/h, thus ensuring the truck goes through the guide rails. The fully automatic computer control system requires only one operator to significantly reduce manual washing costs. 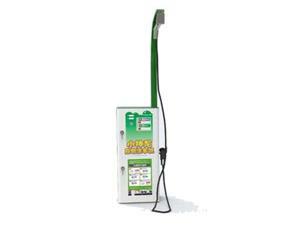 The mechanical switch system utilizes photoelectric sensors for an extremely high precision. 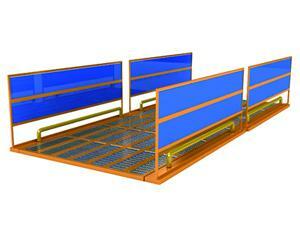 The gantry pre-washing system is made of high quality steel pipes and steel plates, featuring a large loading capacity. The steel body doesn’t come into direct contact with water or mud, thus preventing corrosion and extends the service life. The heavy duty truck washing system has 138 water nozzles for a full tire, undercarriage and other truck part cleaning. Copper direct injection nozzles are used, which feature a high spraying pressure and a low damage rate. 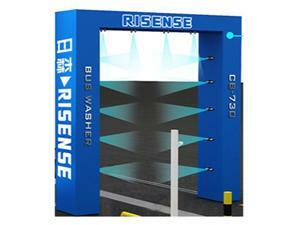 The heavy duty truck washing system is suitable for washing oversize vehicles, such as buses and trucks. Risense’s mining wash system with a high washing speed and simple assembly is ideal for use in refuse landfills, construction sites, concrete plants, mines, industrial locations, and other locations. This truck was system can wash anywhere between 60 to 80 trucks per hour, and the water recycling system saves water. 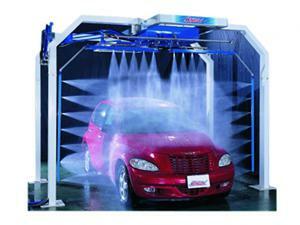 In addition to the heavy duty truck washing system, other wash systems are available.